After all this time, I never thought that the Rocky franchise would stand the test of time at being so much fun to watch. Creed II is the eighth installment of this franchise and serves as a direct sequel to the surprising Creed that was released in 2015. While this movie doesn’t reach the heights of its predecessor, it’s still a worthy entry that is filled with heartfelt moments, great scenes of dialogue and fight scenes that feel as if we are sitting at the foot of the ring. Adonis Creed (Michael B. Jordan) still feels the heat from everyone who follows boxing. The shadow of the legacy that his father Apollo left behind looms large and he still feels as if he needs to prove himself to the world. After securing the heavyweight title and becoming Champion, things are looking great. Adonis is still friends with Rocky (Sylvester Stallone) who is showing his age but still has time to crack some jokes and play catch with his ball. After the worldwide shock of him winning the heavyweight title, Adonis proposes to his girlfriend Bianca (Tessa Thompson) in a truly wonderful scene. 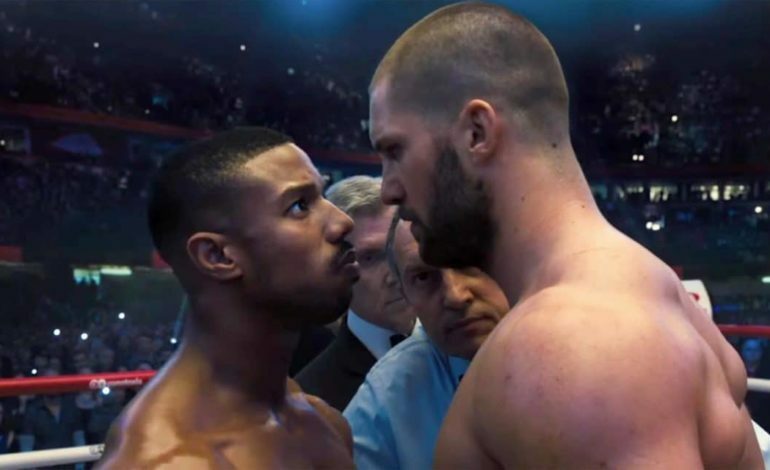 As you may suspect from either the trailers or the thoughts floating in your mind, this happiness is short-lived when Ivan Drago (Dolph Lundgren) announces that his son Viktor (Florian Munteanu) will challenge Creed for the title. Ivan has been training his son for all his life so that the glory of a Russian win will make up for the devastating loss that Ivan suffered thirty-three years ago (the events in Rocky IV). Viktor is big, throws a big punch and proves to be a worthy adversary to the franchise. When Rocky and Ivan meet each after this long hiatus, the scene is great to watch albeit too short in my opinion. Based off the audience in attendance, people aren’t looking for great scenes of dialogue but are looking for the big fight between Creed and Drago and trust me, it’s worth watching. The boxing scenes are excellently shot and every hit feels real. For a moment I thought I was sitting ringside and reacted along with the audience who were excited when Creed landed a hit and shocked when he was knocked down. These are probably some of the best fights I’ve seen in this series since Rocky IV! Speaking of great dialogue, this movie has a lot of great moments. The screenplay is credited to Stallone and Juel Taylor. From the proposal scene, to Adonis talking to his mother Mary Anne (Phylicia Rashad), the conversations between Adonis and Rocky and many more, the writing is very good. The training sequences are back and are quite different but after watching them, I felt like running to the gym! This movie is a wonderful sequel but isn’t exactly bigger or bolder in any way. It talks about life, responsibilities, the expectations that people have of Creed and of course, family. The franchise has seen the loss of Apollo, Adrian and Paulie and yet it feels that they are still with us even though they are gone. 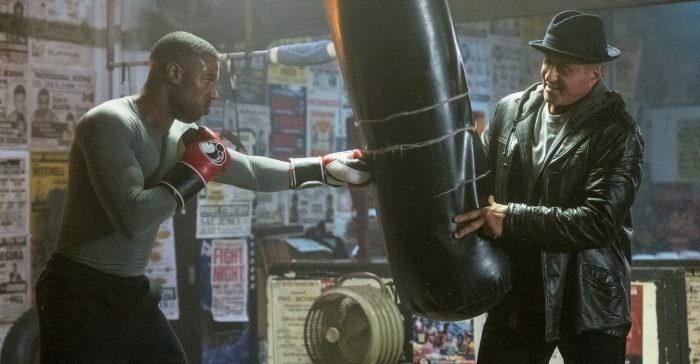 While not as fresh as its predecessor, Creed II is an exciting movie that lives up to its title. It’s a well-made sports drama that has a lot on its mind instead of delivering mindless boxing scenes. It’s smart, beautifully filmed and offers pin-point direction from Steven Caple Jr.. Creed II sees the return of some great actors doing excellent work and while predictable, is a worthy entry to the franchise and a solid sequel. I just wish the movie offered up more scenes between Rocky and Drago and when you think about it, it is a good follow-up to Rocky IV. If you enjoyed Creed, I’m confident that you’ll enjoy this second round.